THE CHARLATANS-WHAT MIGHT HAVE BEEN. Between 1964 and 1969, The Charlatans’ star shawn bright. During that period, The Charlatans were larger than life mavericks. They dressed like 19th Century outlaws, and embraced the rock ’n’ roll lifestyle. L.S.D. and pot were part of The Charlatans’ diet. It fuelled The Charlatans as they took San Francisco by storm. Commercial success and critical acclaim looked a formality. It wasn’t to be. By 1969, The Charlatans were no more. They were just the latest band that should’ve enjoyed widespread critical acclaim and commercial success. 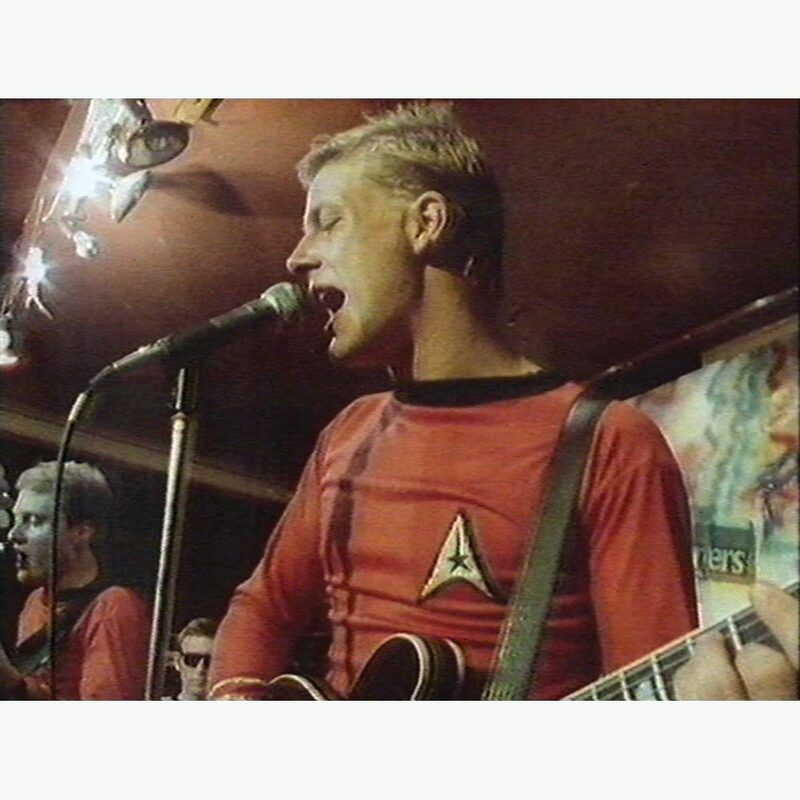 However, for whatever reason, commercial success passes these bands by. That was the case with The Charlatans whose story begins in the summer 1964. That’s when The Charlatans were formed in San Francisco, by autoharp player George Hunter, and bassist Richard Olsen. Soon, they were joined by lead guitarist Mike Wilhelm; keyboardist Mike Ferguson and drummer Sam Linde. With the lineup complete, The Charlatans began to practice. Before long the the band realised they had a problem. The Charlatans had an achilles heel. This was drummer Sam Linde. He just wasn’t good enough for the band moving forward. So a decision was made to replace Sam Linde. His replacement was none other that Dan Hicks. With a new, improved lineup in place, The Charlatans moved forward. When The Charlatans began to play live, they looked like a cross between 19th Century, wild west outlaws and Victorian dandies. This image wasn’t just thrown together. It was carefully cultivated. Despite this, it soon began to prove popular with the audience at their gigs. They arrived dressed in similar attire. Little did The Charlatans realise that their stage clothes would influence the a generation. With the hippie counter culture about to blossom, The Charlatans image would go on to influence a generation. They would dress like dandies and outlaws. By then, The Charlatans a familiar face in the San Francisco music scene. In June 1965, The Charlatans had secured a six week residency at at the Red Dog Saloon in Virginia City, Nevada.. For this residency, two members of The Charlatans had to produce a concert poster. 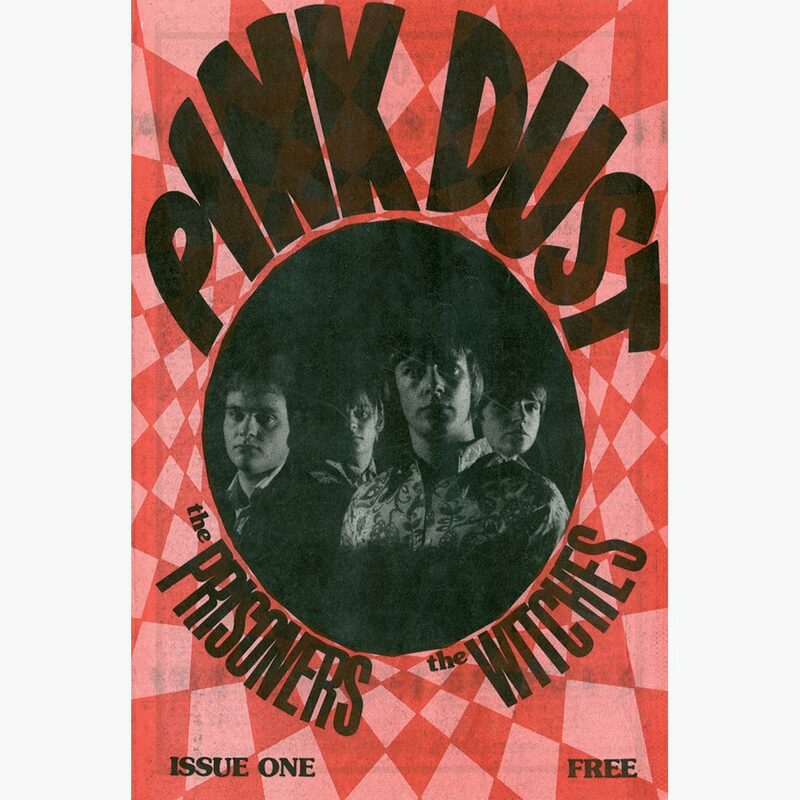 What Mike Ferguson and George Hunter came up with, is regarded as the first psychedelic rock poster. Since then, ordinal copies of The Seed have become prized items among collectors of psychedelia. However, the Red Dog Saloon residency marked a first for The Charlatans. During the residency, the five members of The Charlatans took L.S.D. for the first time. It wouldn’t be the last. Soon, The Charlatans had a penchant for acid, and were tripping whenever they could. Despite their penchant for acid, The Charlatans weren’t an acid rock band. They were much more than that. Instead, The Charlatans’ music would veer between folk rock, country rock and psychedelia over the next four years. Their recording career should’ve began in September 1965. Fresh from their residency at the Red Dog Saloon, The Charlatans had an audition Autumn Records September 1965. They didn’t sign to Tom “Big Daddy” Donahue’s label. He was a local DJ, promoter and producer. However, The Charlatans didn’t sign to Autumn. There were disputes between Tom “Big Daddy” Donahue and The Charlatans over what they would record and money. Soon, though, it became apparent that The Charlatans had had a close escape. Autumn Records was teetering on the edge of insolvency. Financially, the cupboards were bare. Eventually, Warner Bros. bailed Autumn Records out, and The Charlatans lived to fight another day. As 1966 dawned, The Charlatans signed to Kama Sutra Records. The Charlatans wasted no time in recording a number of songs. Once the recording sessions were complete, The Charlatans had decided that they wanted to release Codine as their lead single. That executives at Kama Sutra Records said wasn’t going to happen. They obviously hadn’t listened to Buffy Sainte-Marie’s song about the dangers of drugs. 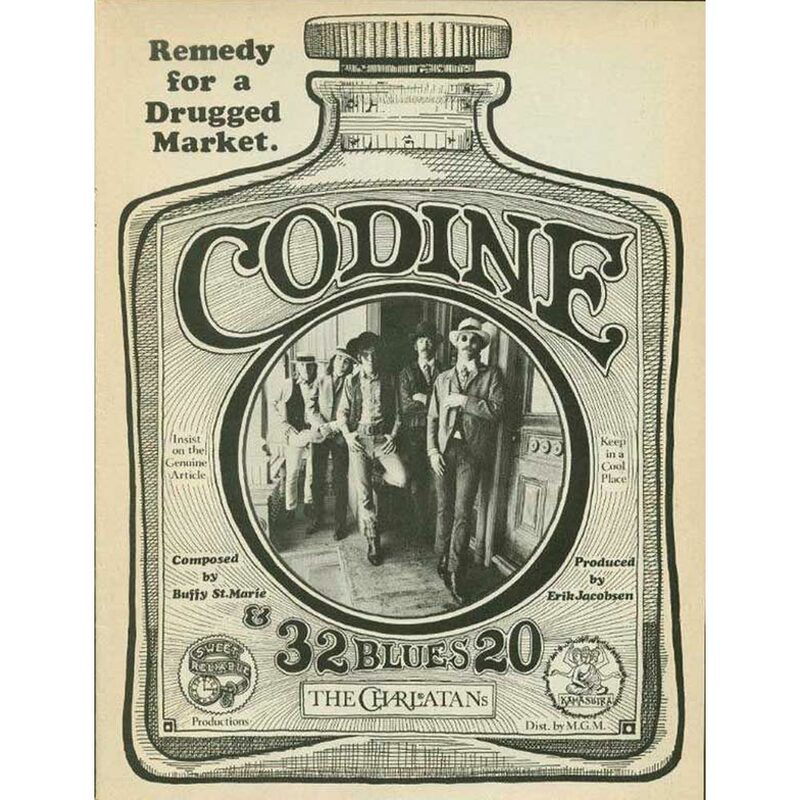 Mistakenly, executives at Kama Sutra Records thought that Codine glorified or encouraged drug taking. So Codine wasn’t releases as a single. It features on he Limit Of The Marvellous. So does The Shadow Knows and 30-20 as The Shadow Knows E.P. Instead of Codine, The Shadow Knows was chosen as the lead single. On the B-Side was 32-20. 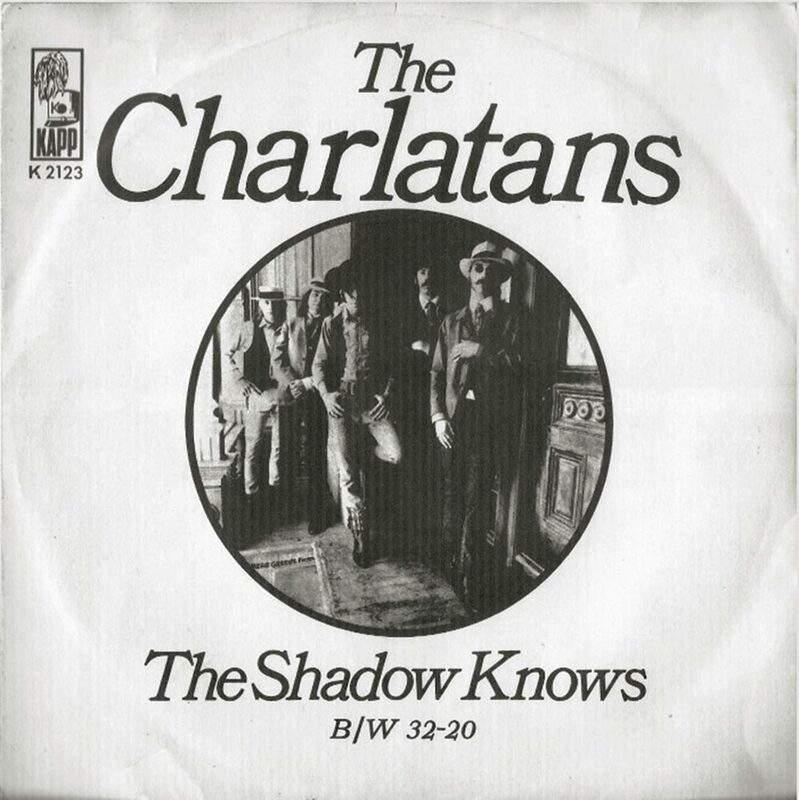 When The Shadow Knows was released by Kapp Records in October 1966, the label failed to adequately promote The Charlatans’ debut. Unsurprisingly, The Charlatans debut single failed. This was The Charlatans’ one and only release on Kama Sutra Records. The remainder of the songs weren’t released until 1996, when they resurfaced on the Amazing Charlatans’ album. Following their departure from Kama Sutra Records, The Charlatans’ lineup changed. Mike Ferguson was sacked in 1967, and replaced by Patrick Gogerty. Not long after this, Dan Hicks vacated The Charlatans’ drum stool. He moved to rhythm guitar and became the lead vocalist, singing many of his own compositions. It was a time of transition for The Charlatans. During this period, The Charlatans were mostly playing live. They didn’t have a record contract, and watched as many of their contemporaries signed with record companies and enjoyed successful careers. This was galling as The Charlatans had played at the Fillmore Auditorium, California Hall, Avalon Ballroom and Longshoreman’s Hall. They were a popular live draw, and had been since their live debut in 1965. By 1968, The Charlatans must have wondered if a record contract would elude them? By then, The Charlatans had embraced the rock ’n’ roll lifestyle fully. Their dropped L.S.D. and smoked pot regularly. Many who enjoyed the same diet of drugs would become acid casualties. Not The Charlatans. They were still one of San Francisco’s top live bands. Then in 1968, one of The Charlatans called it a day. In 1968, Dan Hicks decided to form his own band, Dan Hicks and The Hot Licks. This was always going to happen. It was almost written in the stars. Dan Hicks was a talented singer, songwriter and musician. He seemed destined for greater things. However, this left a huge void in The Charlatans. Filling it wouldn’t be easy. Worse was to come. Throughout 1968, arguments were commonplace within The Charlatans’ camp. Gradually, the escalated, and reached a breaking point. However, Mike Wilhelm, Richard Olsen and Terry Wilson had a cunning plan. To all intents and purposes, it looked as if they had decided to disband The Charlatans. However, the cunning plan was that shortly afterwards, they would reform The Charlatans without George Hunter. It was a musical coup d’état. This would ultimately backfire on The Charlatans. At first, things looked up for The Charlatans. They drafted in a new keyboardist and vocalist, Darrell DeVor. Not long after this, The Charlatans secured a deal with Phillips, and began recording their debut album. Recording of what became The Charlatans took place at Pacific High Recorders, San Francisco. Dan Healy co-produced what became The Charlatans with the band. Eleven songs were recorded. 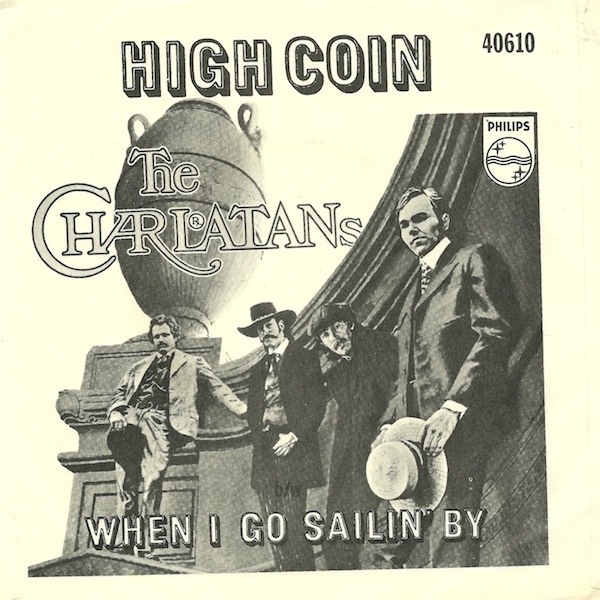 Five were cover versions and six were written by members of The Charlatans Mike Wilhelm penned Ain’t Got the Time and The Blues Ain’t Nothin’; while Richard Olsen contributed When I Go Sailin’ By. New recruit Darrell DeVore wrote Easy When I’m Dead, Time to Get Straight, Doubtful Waltz and When the Movies Are Over. However, when the album was released, The Charlatans luck changed. By then, music had changed, and the music on The Charlatans was beginning to sound dated. As a result, The Charlatans failed commercially. So did the the Van Dyke Parks’ penned lead single High Coin. To make matters worse, one of The Charlatans had been busted on a drugs charge. Drummer Terry Wilson had been caught in possession of marijuana. In 1969, this was a serious offence in America, where the drug laws were quite strict. So when Terry Wilson received a prison sentence he had to leave The Charlatans. This resulted in a u-turn from two members of The Charlatans. Mike Wilhelm and Richard Olsen agreed to join a reunited lineup of The Charlatans. Mike Ferguson who had previously been sacked returned. So did George Hunter who had been ‘misled’ into thinking that The Charlatans had disbanded in 1968, even was willing to let bygones be bygones. Even Dan Hicks returned to the fold. 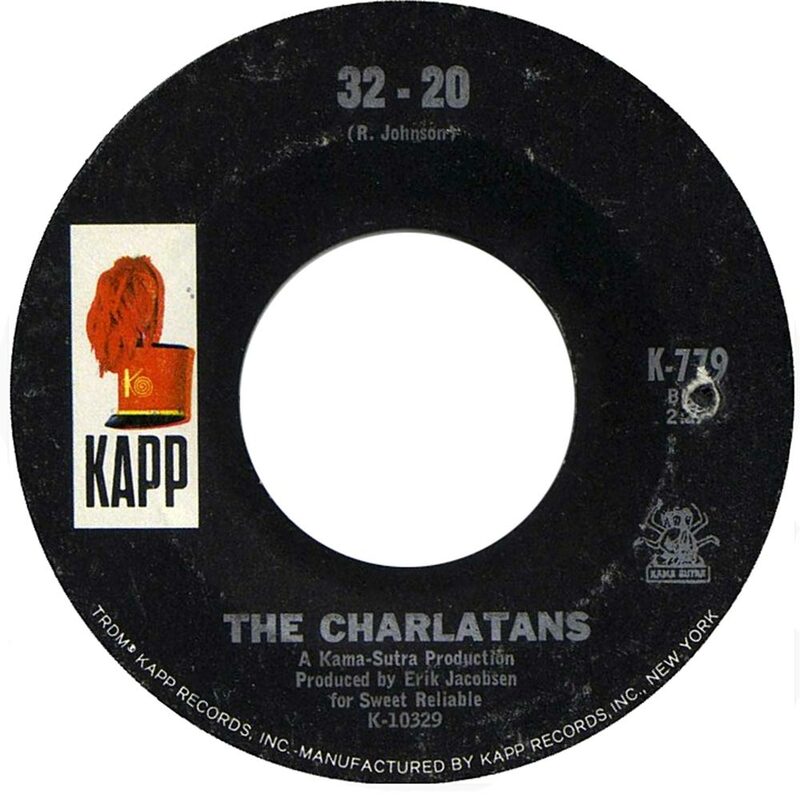 While The Charlatans continued as a quintet until the end of 1969, the writing was on the wall. The Charlatans’ music was regarded as outdated, and yesterday’s sound. It was almost inevitable that The Charlatans would split-up at the end of 1969. This was the end of the road for The Charlatans. Four years earlier, the future looked bright for The Charlatans when they enjoyed their six week residency at Red Dog Saloon. When they returned to San Francisco, The Charlatans looked as if they were going to join the elite of city’s music scene. They had the talent, and their music which veered between country rock to folk rock and psychedelic rock should’ve found a wider audience. Sadly, The Charlatans struggled to get a record deal. The time they spent at Kama Sutra Records resulted in The Charlatans recording the best music of their five year career. Little did Kama Sutra Records realise that, they had captured The Charlatans at the peak of their powers. At that moment in time, their music was bang on trend. That was the time to release an album, not 1969. 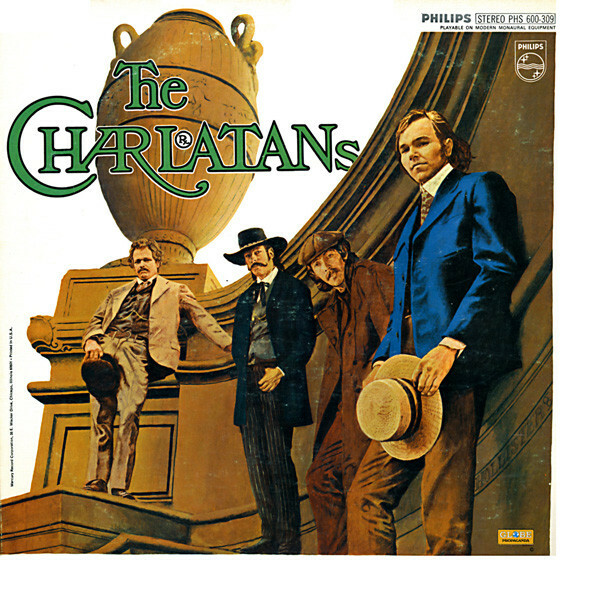 When The Charlatans released their eponymous debut album for Phillips in 1969, their music hadn’t evolved. Instead, it sound outdated to record buyers who had moved on musically. Sadly, The Charlatans hadn’t. They came late to the party with an album that would’ve fared better if released in 1967. However, by then, the end was neigh for The Charlatans. Despite getting the classic quintet together, The Charlatans’ story was over by late 1969. Their musical legacy amounted to one album, two singles and material they had recorded for Kama Sutra Records. It was a case of what might have been. Fiver years earlier, ,usical mavericks The Charlatans, had taken San Francisco by storm. They should’ve found fame and fortune. Sadly, it wasn’t to be. After several breakups, makeups and changes in lineup, The Charlatans, called time on a career that promised much, but ultimately, through bad luck and misfortune, came to little. ← BEVERLEY MARTYN-WHAT MIGHT HAVE BEEN?